Is PTEN loss a risk factor for progression of men on active surveillance? A newly published paper in the journal Prostate Cancer and Prostatic Diseases has explored the above question based on data from the Johns Hopkins active surveillance (AS) cohort of men with initially low- or very low-risk prostate cancer. The PTEN gene is a gene that gives instructions for making the PTEN enzyme — an enzyme that can be found in almost all tissues in the body. This enzyme is a tumor suppressor, and it helps to regulate cell division by keeping cells from growing and dividing too rapidly or in an uncontrolled way. Loss of the PTEN gene and therefore loss of the function of the PTEN enzyme is well known to be associated with risk for clinically significant prostate cancer. For more information about the PTEN gene, click here. Tosoian et al. used immunohostochemical testing of tissue from diagnostic biopsies or later surgical procedures to determine the presence of the PTEN enzyme in a carefully conducted case-control study designed to investigate whether men initially diagnosed with low- and very low-risk prostate cancer (all initially diagnosed with Gleason 6 prostate cancer) went on to demonstrate expression of the PTEN enzyme after progression of their cancer to either Gleason grade ≥ 3 + 4 = 7 within 2 years (“reclassification”) or Gleason grade ≥ 4 + 3 = 7 on subsequent follow-up (“extreme reclassification”). The control patients were prostate cancer patients initially diagnosed with low- or very low-risk, Gleason 6 prostate cancer who had been monitored on AS for at least 8 years with no sign of reclassification on biopsy over that time period. Up to half of men with Gleason score 6 (GS6) prostate cancers initially managed with active surveillance (AS) will eventually require definitive therapy, usually due to tumor grade reclassification during follow-up. We examined the association between PTEN status on biopsy and subsequent clinicopathologic outcomes in men with GS6 cancers who enrolled in AS. There were 67 patients (the cases) in their cohort for whom there was sufficient tissue for analysis demonstrated reclassification. PTEN loss was rare among men with GS6 prostate cancer enrolled in AS at Johns Hopkins. Despite this, PTEN loss was more frequent among men who underwent early or extreme reclassification to higher-grade cancer as compared to controls. Additional studies in larger low-risk cohorts may better elucidate a potential role for PTEN in selecting patients for AS. What does seem to be the case, however, is that there is nothing approaching an absolute association between loss of expression of the PTEN gene and progression of men on active surveillance to have clinically significant disease. 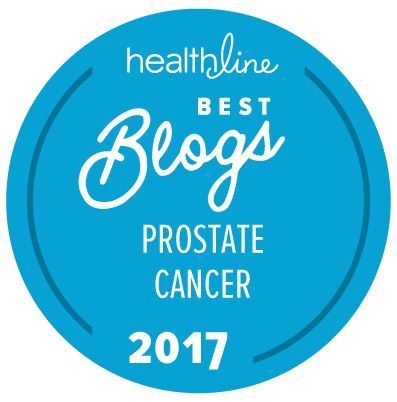 It seems as though, as is often the case with prostate cancer, this is just one of a number of factors that may be associated with progression of the cancer over time. All the patients had exactly the same form of management on active surveillance until they showed signs of progression and decided to have treatment. if a tumor suppressor PTEN was turned down in expression, then you get a more aggressive cancer. So when the patients had relapse and were shifted from active surveillance to local or systemic treatment — I missed the information whether patients with downregulated PTEN had poorer response than those without downregulated PTEN. My question was not elucidated by telling me and others how equal follow-up was before the patients had recurrent disease. Maybe the authors don’t know outcome of active treatment. I only raise the question due to previous publications on downregulation of PTEN so the downregulation is a fact. I am just after clinical consequence — may be you have information on the impact of the facts. I have no more access to detailed information like this than you do. You’d have to ask the authors for a copy of the complete paper. The patients in thsi cohort have been followed for many years, so it seems likley that the authors have data on the long-term outcomes of all these patients.